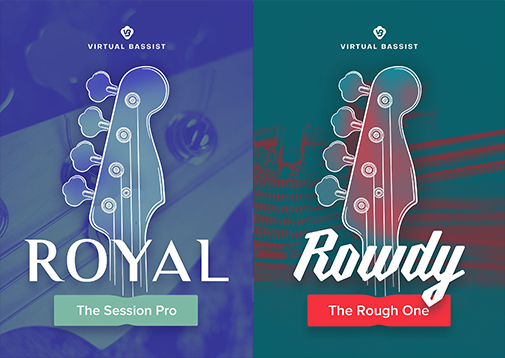 Virtual Bassist ROYAL is your all-round high-class session bass player, always ready to support most styles of popular music safely and effortlessly. Perfect for pop music, ready for rock music, inspiring on indie and as material for singers and songwriters, ROYAL is the best companion for a session studio for all occasions. Virtual Bassist ROWDY – your loud, rebellious and energetic bass player with a sting! ROWDY contains selected, overloaded bass sounds, suitable for a wide variety of styles: from powerful punk to hot rock and modern metal. If your bass needs to cut through heavy drums and the wall of guitars, then ROWDY is the perfect solution. Special thanks to the user AslashA for providing a breakaway.